LOS ANGELES, CA (November 20, 2018) – BOOM! 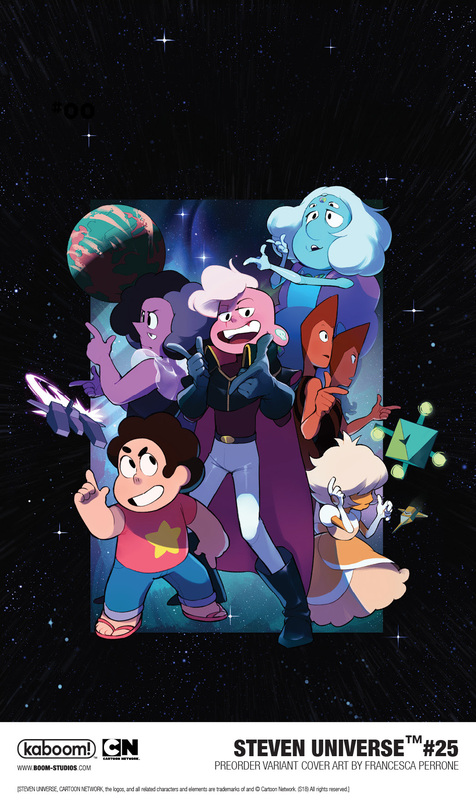 Studios today announced thatSTEVEN UNIVERSE™ #25, on-sale in February 2019, will kick off an epic new comic book exclusive storyline featuring fan favorite space hero, Lars of the Stars! Writer Terry Blas (Hotel Dare) and artist Gabriele Bagnoli reveal Lars and the Off Colors’ hidden truths, as Steven and Connie join them in space for a mind-bending adventure no fan can miss.